This is based on survey conducted in January 2019. 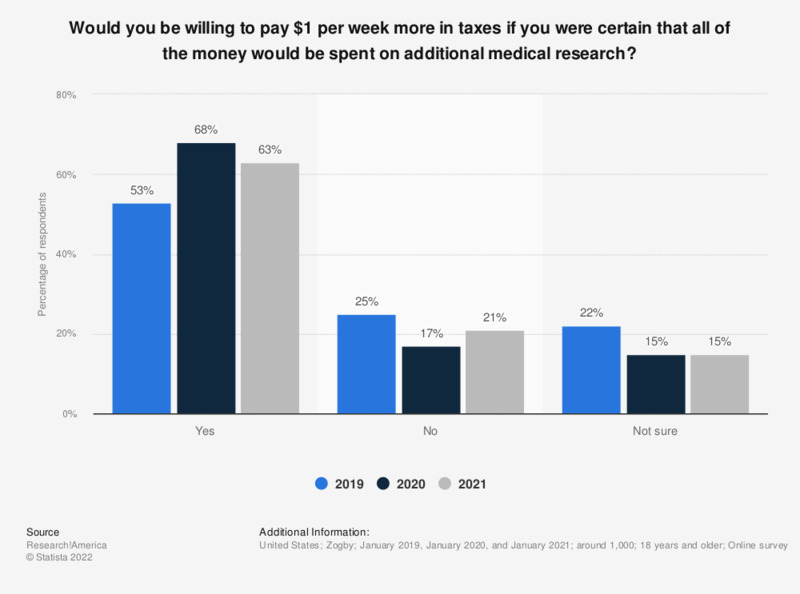 It displays the share of U.S. adults and their willingness to increase their taxes by one U.S. dollar per week if all the money would be spent on additional medical research. Some 25 percent were unwilling to increase their taxes for additional medical research. New legislation has been announced that would help improve the state of health care and medical research, especially as citizens believe that research is important for development of the economy.